After the 2016 sell-out tour, Larks in Transit, Bill returns to Australia and New Zealand in September this year with his new musicomedy show, Earl of Whimsy. It has Bill’s trademark blend of satire and surrealism, stories and dismantled jokes, crowd sing-alongs, weird instruments and musical showstoppers. But there’s a distinctly historical feel to this show. With its tales of Britain’s fortunes past and present, of ancient Viking battles, of Shakespeare’s contribution to comedy, and Bill’s own ancestry, this is both a mockery and a celebration of national identity. Today we’re announcing a West End run of Bill’s current live show, Larks In Transit. Bill will delight comedy fans when he takes up residence once again at London’s Wyndham’s Theatre in the heart of the West End, having last performed there during a sell out run of his show Dandelion Mind back in 2010. Larks In Transit will be at Wyndham’s Theatre from Monday 3 December 2018 to Saturday 5 January 2019, tickets for which go on general sale 10.00am Thursday 26 April 2018 but here is a priority on-sale link for you to have a head start right now. 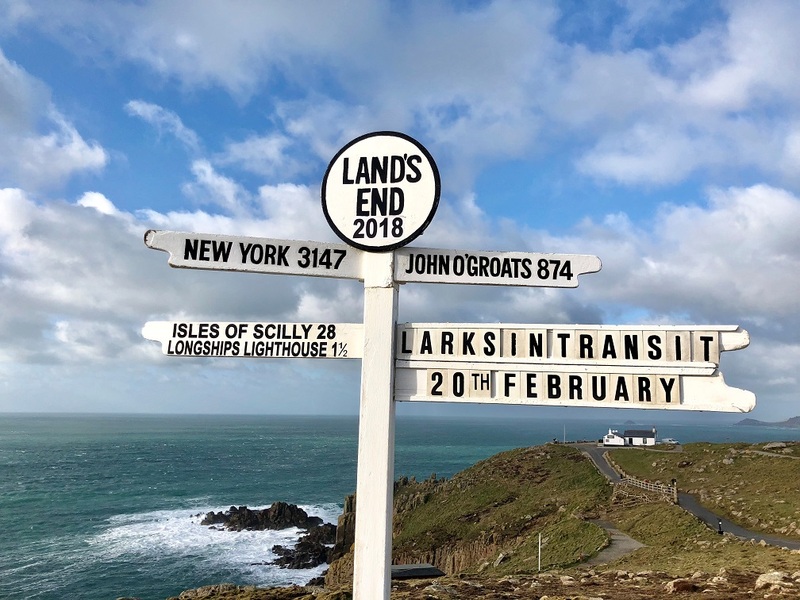 Bill may have reached the end of the land with his Larks In Transit show, but it’s only the beginning of the tour so you’ve plenty of chance to catch him as he zig-zags the country in 2018. Bill is set to bring a dusting of festive spirit to the capital for five nights this December with his live show ‘CHRISTMAS LARKS!’ A very special preview of his forthcoming tour show ‘Larks In Transit’, ‘CHRISTMAS LARKS!’ will feature everything you’d expect from a Bill Bailey live show, with an added festive twist. For a chance to see the wonderful Bill Bailey in an intimate setting, trying out new material for his upcoming tour ‘Larks in Transit’.